Thanks to Miranti’s great blog The High Heel Gourmet, I’ve been trying out authentic Thai recipes for the first time. Miranti is very clear about what is authentic Thai and what is not, and I really like her style. The funny thing about me cooking Pad Thai is that I have never eaten it before in my life. So I don’t know what it is supposed to taste like. I just followed Miranti’s instructions for Authentic Pad Thai, and I really liked the result. It was delicious and unlike anything I’ve ever tasted before. There were also some ingredients I had never tasted before (garlic chives and preserved radishes). This dish has many layers of flavor, including umami, sweet and sour, and spicy (if you garnish with chile flakes) and many different textures, including crunchy vegetables and tender shrimp. Now I guess I have to go to a Thai restaurant in Amsterdam to see if their version is anything like what I came up with. 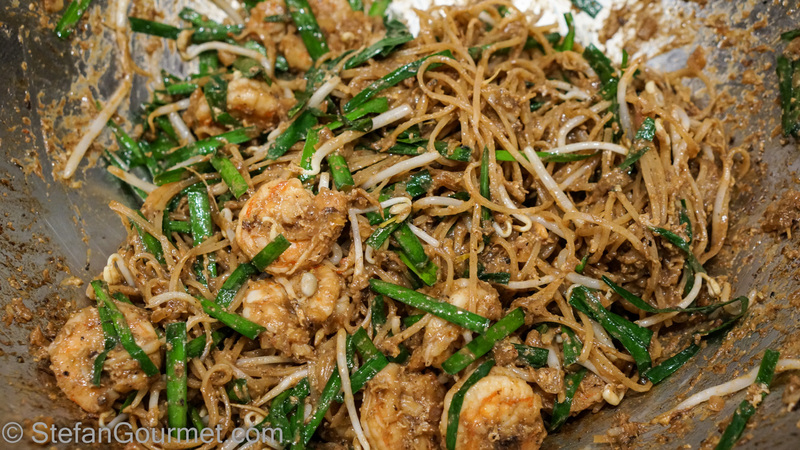 Miranti wrote an interesting and fun post about what is not supposed to be in Authentic Pad Thai, which also includes a very interesting story about the history behind Pad Thai and explains why she is so passionate about making it the right way. The only concession I made to Miranti’s recipe is that I left out the tofu. I don’t care much for it, and it is one of the few foods that Kees actually hates. Serving him tofu would be like filing for divorce. So I left out the tofu and added some more shrimp instead. The hardest part about this recipe is finding all the ingredients. The rest is pretty easy, as long as you won’t try to make photos of what you are doing like I did… If you’d like to prepare auhentic Pad Thai, please go over to Miranti’s blog and do as she says. Her instructions are much more detailed than my account of what I did below. 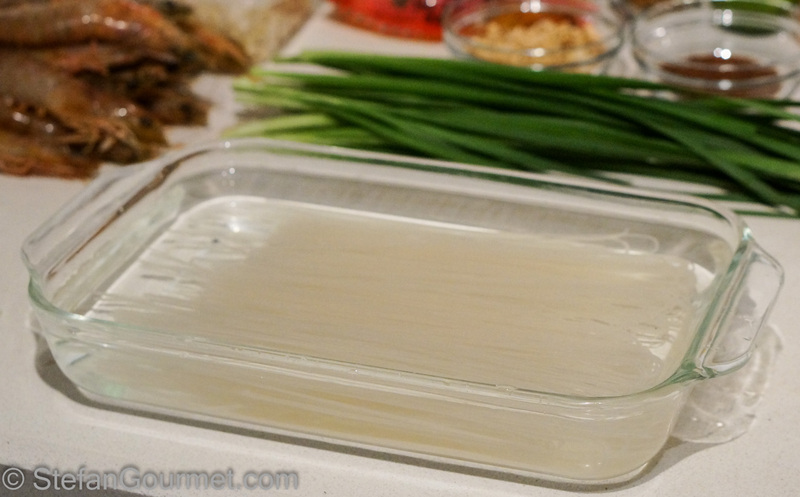 Soak the rice noodles in cold water until they are soft but not too soft. Soak the dried salted shrimp in cold water to soften. 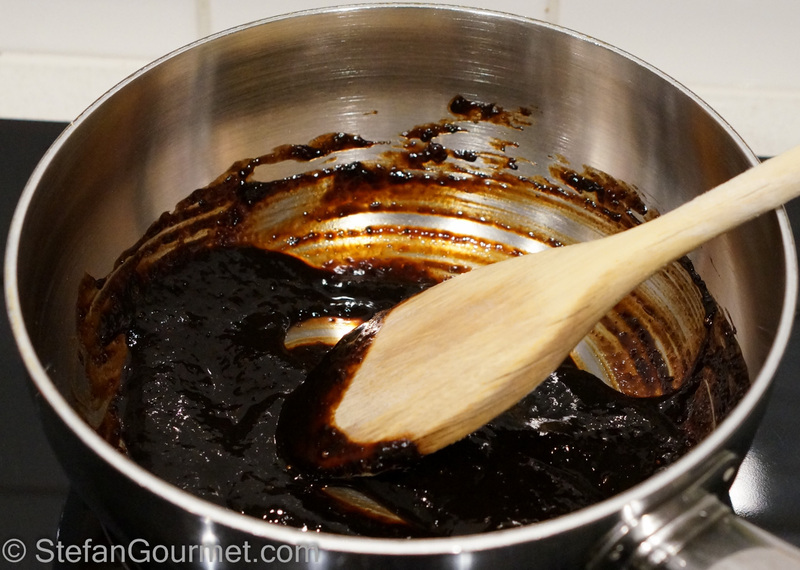 To make the sauce, combine the tamarind and palm sugar over low heat. Stir until the sugar has dissolved. Turn off the heat and add the fish sauce. 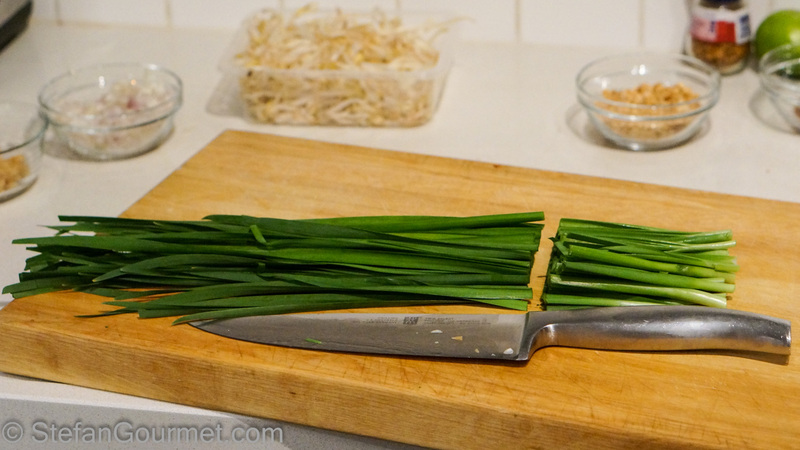 Cut 1 cm (1/2 inch) off the bottom of the garlic chives and discard. 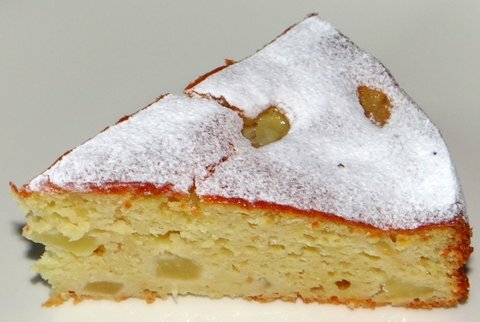 Cut off the lower 10 cm (4 inches) and reserve for garnish. Chop the rest into 4 cm (1 1/2 inch) lengths. 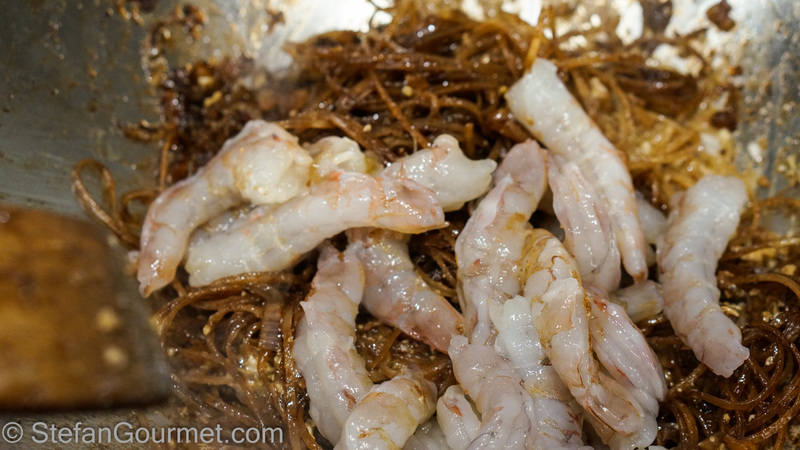 Arrange all the ingredients in the right order: vegetable oil, shallots, salted shrimp, preserved radishes/turnips, noodles, sauce, eggs, fresh shrimp, bean sprouts, garlic chives. 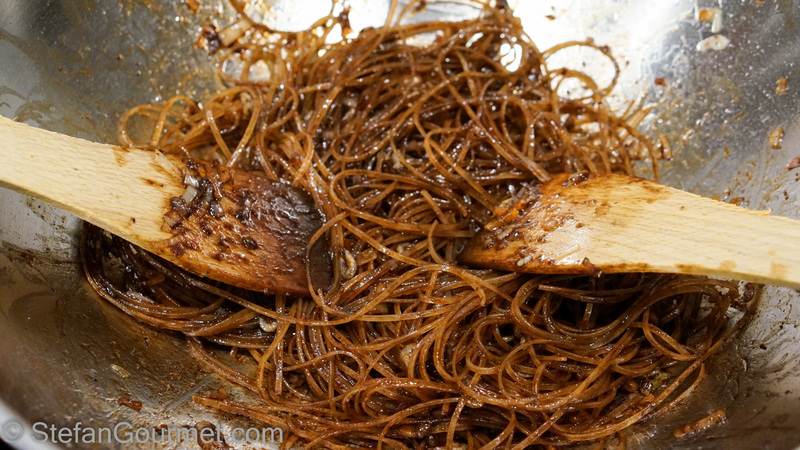 Stir frying is done over high heat and you need to work quickly before anything burns. 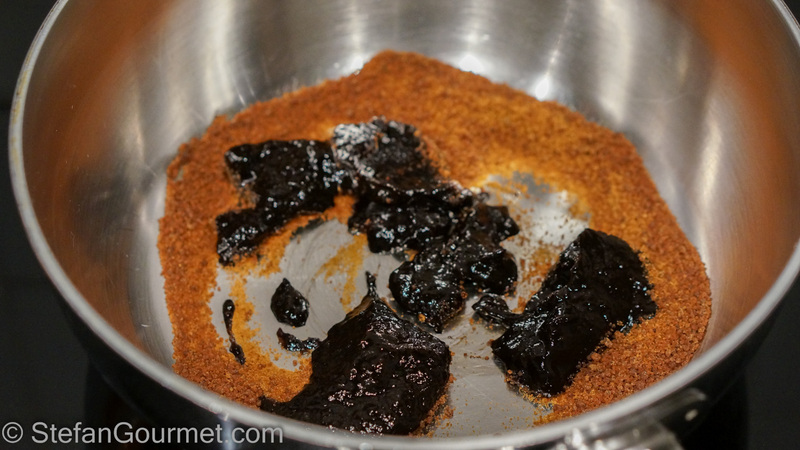 Add a bit of water at any time if the mixture becomes too dry. Heat 2 Tbsp of the oil in a wok over high heat and add the shallots. Stir fry for 30 seconds. Add the shrimp and radishes/turnips (and tofu, if using) and stir fry for about a minute. Stir fry until the noodles are coated by the sauce. 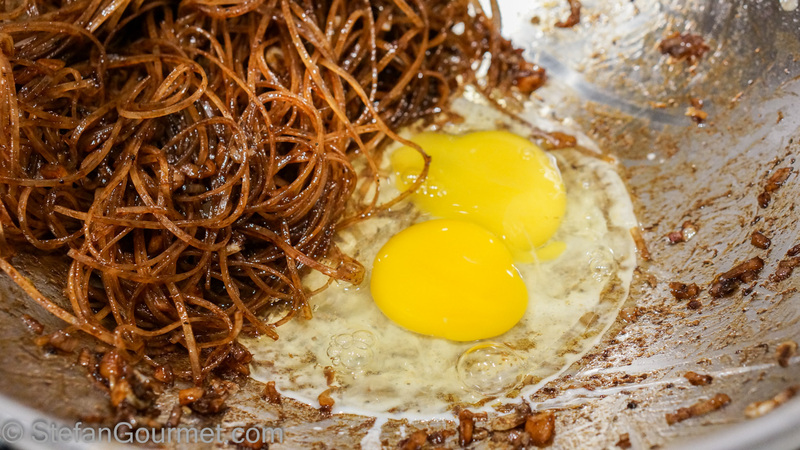 Push the noodles aside, add the remaining tablespoon of oil, and the eggs. Scramble the eggs a little and then cover by the noodles. Stir fry until they have lost their raw color, about a minute. 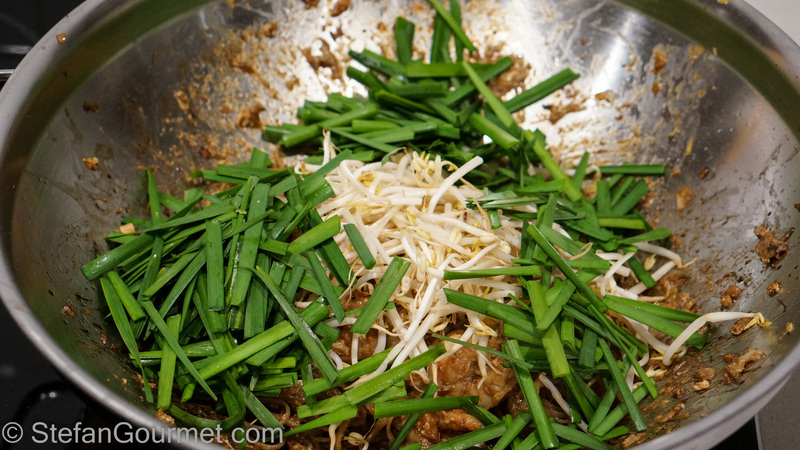 Turn down the heat and add the garlic chives and half of the bean sprouts. 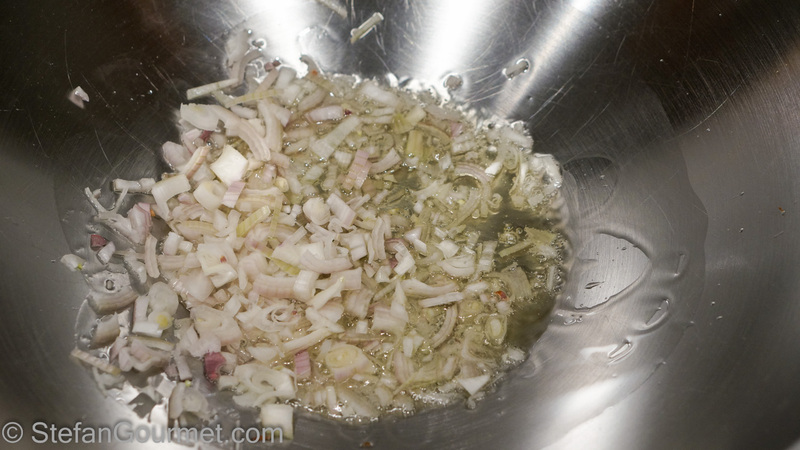 Stir until the vegetables have softened, about 2 minutes. 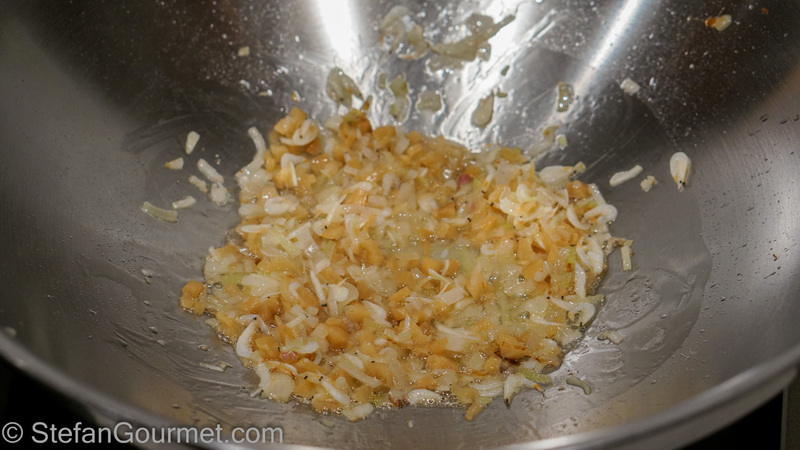 Serve garnished with raw garlic chives, raw bean sprouts, peanuts, lime, sugar, and chile flakes. Great looking dish for your first try! Thanks for stopping by and taking the time to leave such a nice comment! this looks really good Stefan. 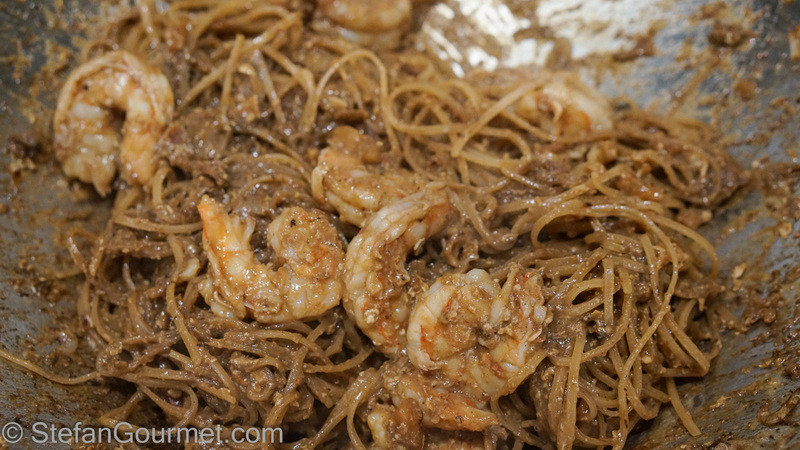 I’ve never tried making this, and I’m only familiar with half the ingredients you listed… but I’ve had pad thai many times and love it. 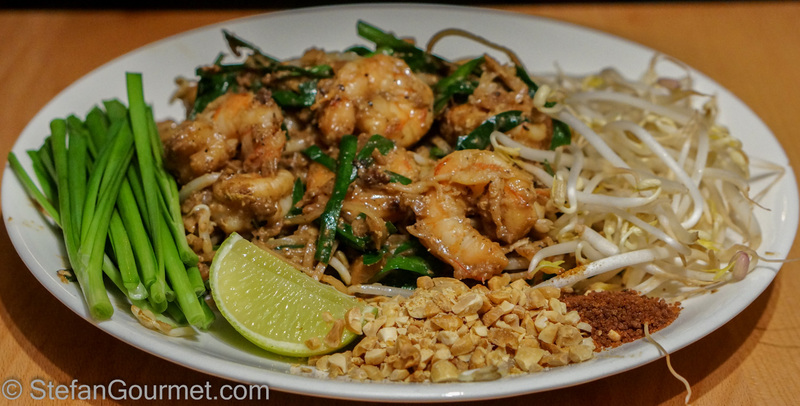 There’s this tiny thai restaurant near work here in vancouver that serves an amazing pad thai, but I don’t know… yours might be better 🙂 thanks for the post! I’ve made Miranti’s Pad Thai, I know it’s good, and I know it tastes authentic, so you’ve made an authentic pad Thai. Rest assured that the tofu would only add texture, not flavour so you’re off the hook on that one. We love this recipe and it’s quick to prepare so it’s on high rotation in this house! My advice would be NOT to try the local Thai restaurant’s version, they’ve probably dumbed it down! Welcome to my world, Stefan!! Tofu very much included!! This to me is a very every-day evening meal ’cause it is ready so fast and has heaps of flavour!! If I may be ‘impolite’ ~ don’t serve it ‘polite’ European style all ‘arranged’ and neat – just pile it onto a plate and put about three or four times as much of coriander and other fresh herbs as you have atop!!! And have fun!!!!!!!!!! This looks wonderful, Stefan. 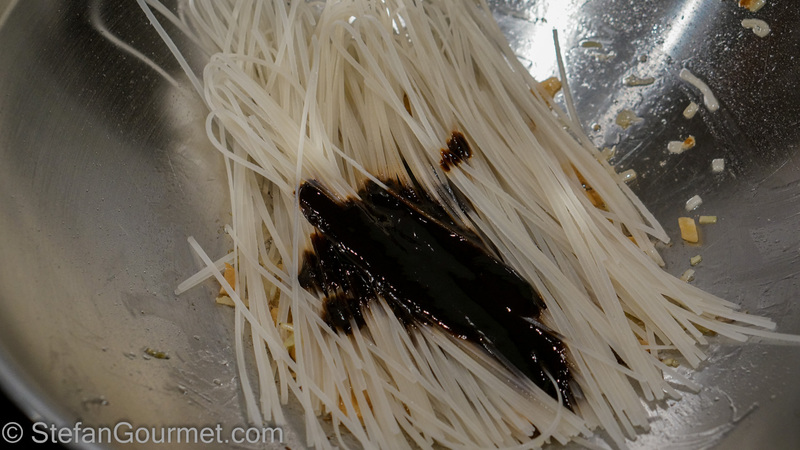 I’ve been to Thailand and know the real thing, as well as the story behind the dish. Although I’ve not tasted yours, the ingredients you’ve used all ring true. I admire you for tackling a dish like this, especially being that you’ve not tasted it prior to this. You really are fearless in the kitchen. Good for you! It looks beautiful, Stefan ! This is my same problem with making authentic Mexican dishes – not being able to locate all of the authentic ingredients, so the resulting dish really isn’t the same. I love miranti’s blog. She reminds me of you! Wow…Great job Stefan! Your PadThai looks really good. It’s funny about the tofu, you know my husband hates tofu too but I added them in my PadThai anyway (cut them up really really small) since divorce isn’t his option but just don’t go tell him that I slipped tofu in his PadThai…lol…The flavors from all other stuffs were absorbed in to the tofu so he won’t object them (plus I cut them really small so it’s hard to pick out…haha). Let me know how’s the PadThai at the Thai restaurants there!